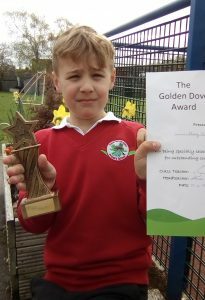 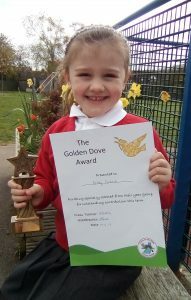 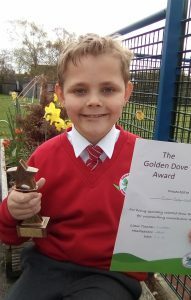 Congratulations also to Tristen, who unfortunately was poorly today and wasn’t able to receive his award. 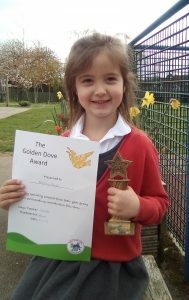 A huge well done to each of you – #soproud. 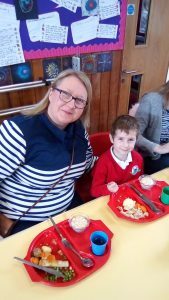 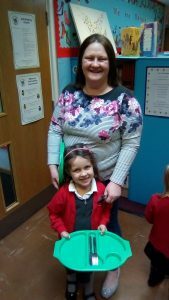 There have been lots of lovely Easter activities happening throughout the different classes in school this week and up at St Mary’s Church. 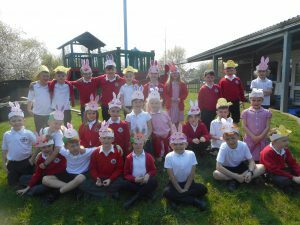 On Monday, the Dazzling Dragonflies started the Easter week off with some gusto by firstly making some lovely Easter hats, which they wore whilst taking part in a mini Easter Egg Hunt in and around the pirate ship. 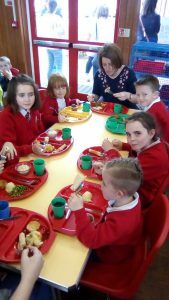 They then went on to decorate Easter biscuits, which hopefully made it home for you to see and hopefully taste! 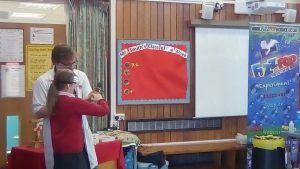 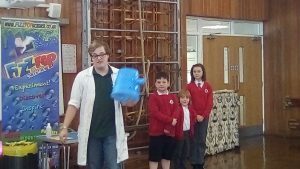 On Tuesday, we welcomed Reverend Bill into school to lead our assembly on the Easter story. 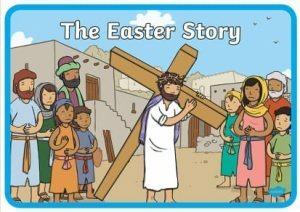 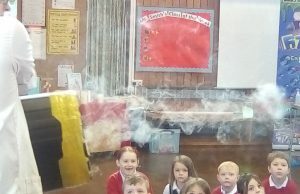 Reverend Bill is incredibly popular with our children and they listened to the Easter story with great interest. 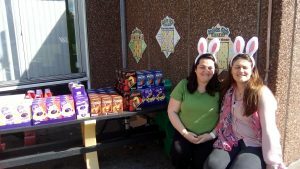 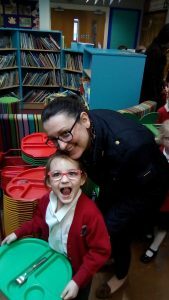 During the lunchtime break on Wednesday, our FPTA had organised an Easter Egg Treasure Hunt for the children. 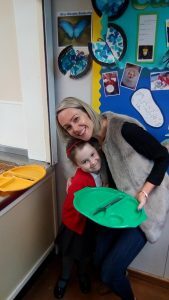 It was so lovely to see our older children helping the little ones, working together to find the various clues around the playground and on the school field. 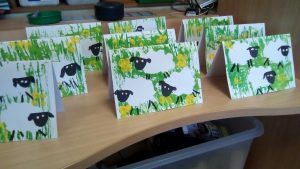 From the start of the week, all classes have been getting busy with Easter craft activities and cards of various designs – keep a look out for these coming home. 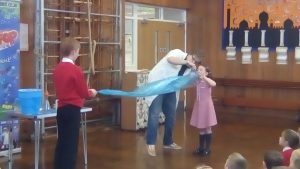 This morning, we were treated to a wonderful assembly at St Mary’s Church, led by our Curious Caterpillars class. 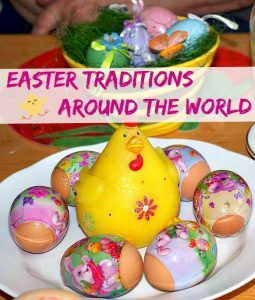 The children presented to us ‘Easter from around the world’, informing the family members present about the different Easter traditions from other countries. 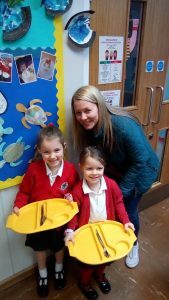 One tradition which caused quite a lot of hilarity was the sprinkling of water on the girls heads – this is a tradition from Poland and usually carried out on Easter Monday. 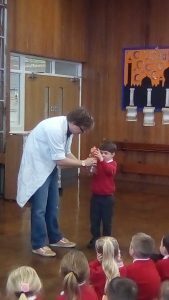 Other countries were represented by Egg Rolling and Easter Egg Hunts amongst other things. 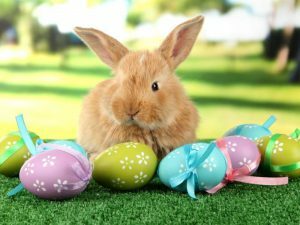 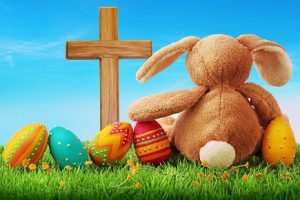 We hope you make the most of the Easter break with family and friends and look forward to seeing you back in school on Monday 29th April. 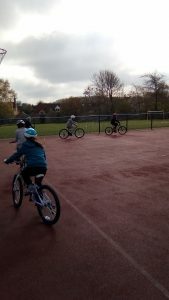 Last week our Year 6 children enjoyed getting out in the fresh air for their Bikeability training, or as some may remember it ‘cycling proficiency’. 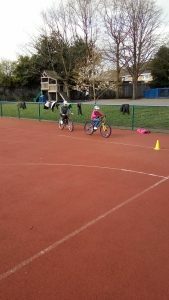 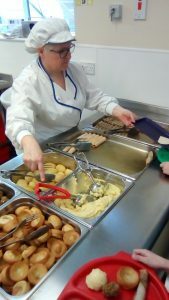 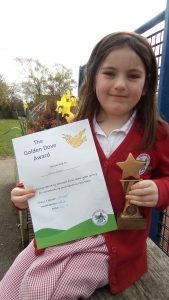 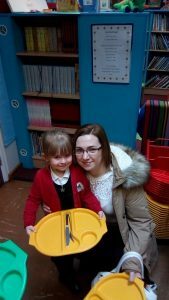 The children started off at differing abilities but all did amazingly well, improving immensely. 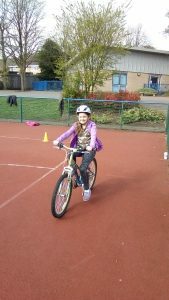 A BIG thank you to the parents for bringing the children’s bikes and helmets into school. 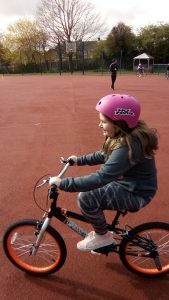 It helps them settle into the training if they are familiar with their bike. 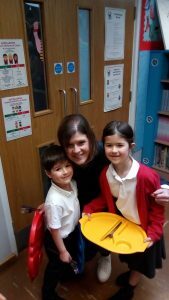 Our FPTA, as usual, are working hard to continue the fundraising efforts throughout the year. 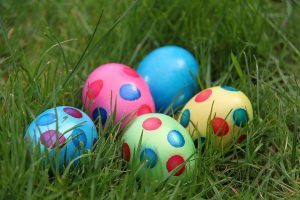 This week, we have a wonderful opportunity for our children to take part in an Easter Egg Treasure Hunt tomorrow, 10th April 2019, during the lunch time break. 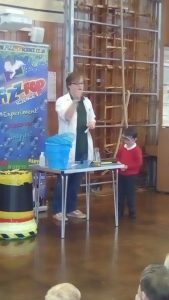 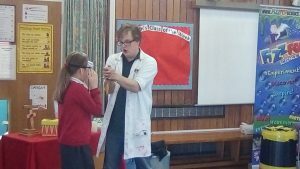 The cost of this activity is £2 per child, which is bookable via the shop on SchoolMoney. 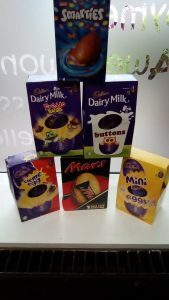 Each child that enters will receive a medium sized chocolate egg. 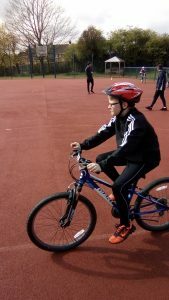 This is an optional activity for our children but looks to be a lot of fun to take part in. 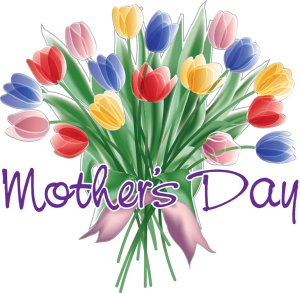 Following on from our Mother’s Day Lunch of yesterday, tomorrow we will be having a ‘Mother’s Day Gift Shop’ in school where children can bring in £2 to purchase a gift for their Mum, Grandma, Aunty or someone else special in their life to celebrate Mother’s Day. 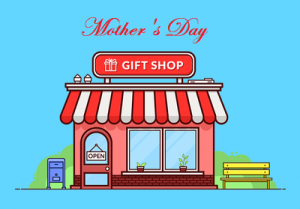 The children always get really excited when it’s time to ‘go to the gift shop’ as it makes them feel quite grown up and gives them a feeling of independence. 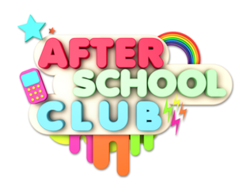 If you wish your child to experience our gift shop for themselves, please send them to school with £2 tomorrow (Friday 29th March). 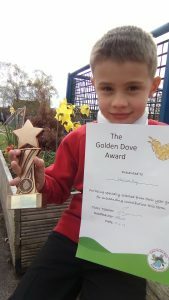 A message to all the Dads – please don’t worry as your turn will come later in the year!